The world has changed the way it uses money. Money is different now – it’s digital, and so are many of the products kids buy (apps, movies, games). Despite such a huge shift, we still teach our kids about money the same way – with cash. It’s time for us to change how we teach our kids and teens about money. 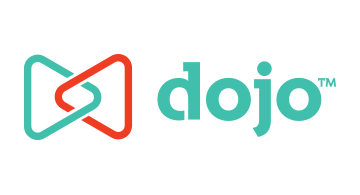 Dojo is a company formed around the principle of raising money-smart kids in the post-cash age, through a safe and secure app and debit card that fits the lives of busy moms and their families. Dojo’s powerful app and secure debit card is smarter, simpler and safer than giving kids cash. Two logins, one app. Parents can track their kids spending and savings goals and they can instantly add money to the card anytime, anywhere. The best part? Parents have various settings to protect their kid such as restricting spending online, setting spending limits and monitoring purchases. While kids can login into the app to check their balance, track their spending, set savings goals and see fun, yet valuable money lessons to help them become better at managing money.